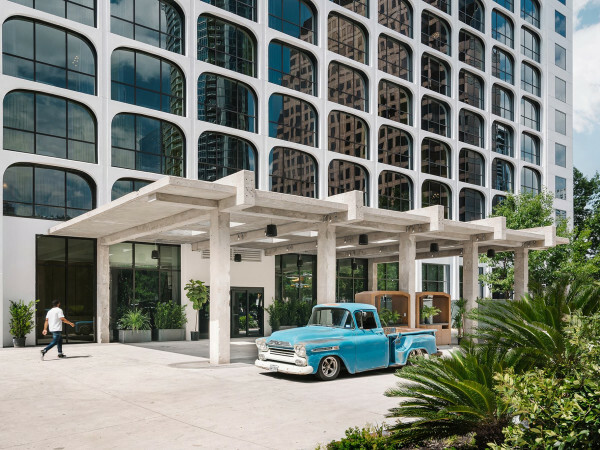 Set against the backdrop of one of Austin’s most beautiful venues, Alex and Brandon Testa got hitched under the giant oak trees in Hotel Saint Cecilia’s backyard. 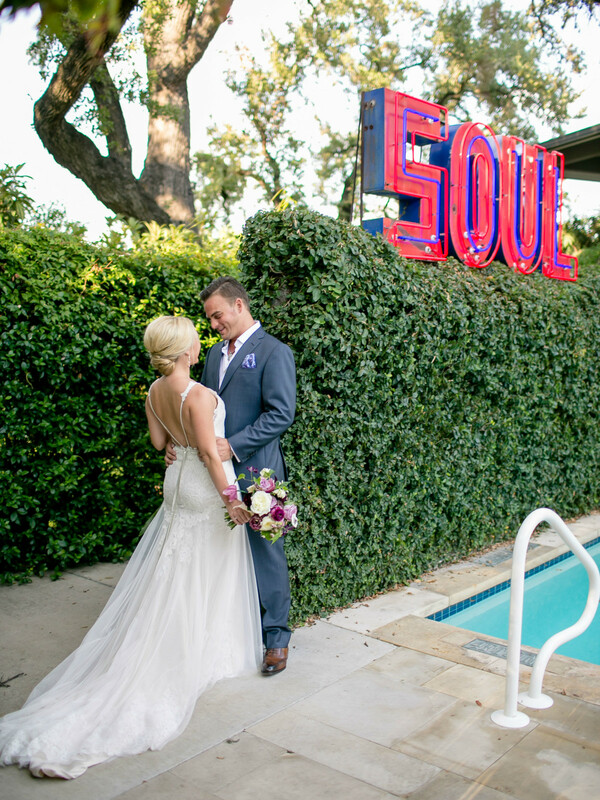 The trendy venue provided a bohemian feel to the day adding to the wedding's funky elements. 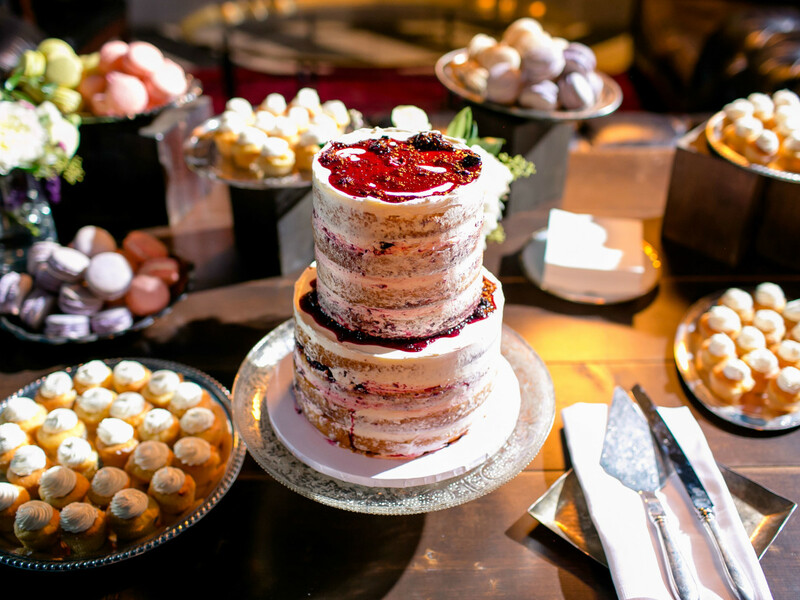 Untraditional features like mismatched bridesmaid gowns, no tie for the groom, macaroons and cupcakes on the dessert table, tarot card readings, and a quirky photo booth from Annie Ray helped keep the eclectic vibe alive. After dinner, guests piled into two trolleys (the Austin ‘Dillos) to head to the reception at East Austin’s Craftsman, which Brandon owns. 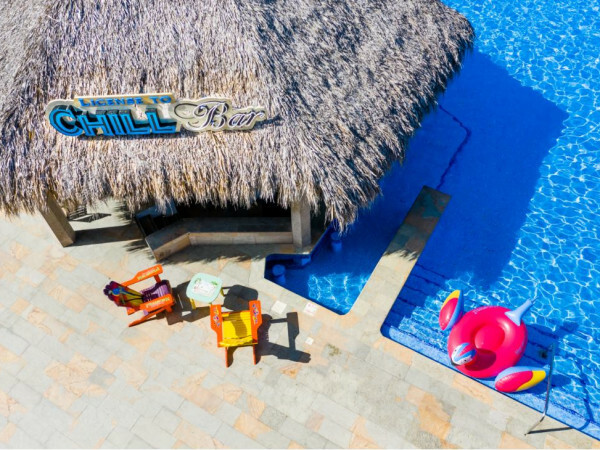 Everyone was encouraged to pack in and stand in the aisles, which kept the party going from the hotel to the bar. 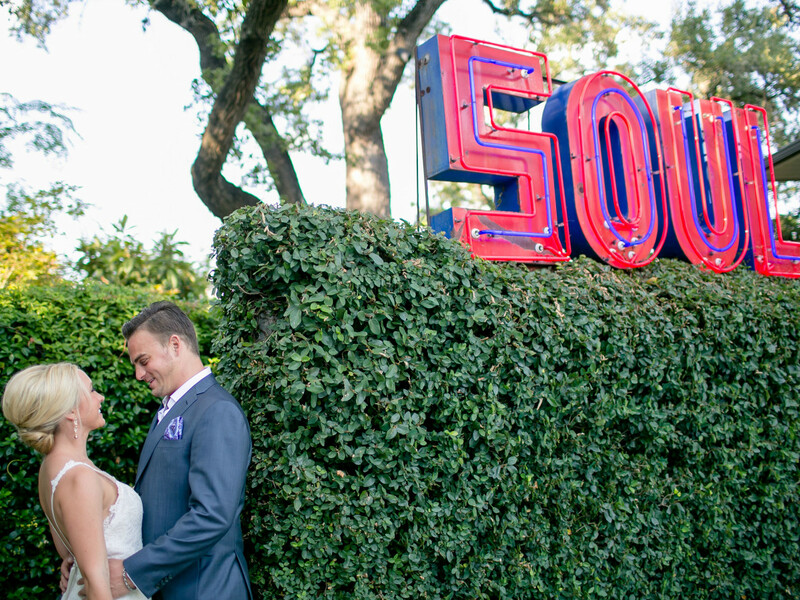 Take a walk down the aisle of Alex and Brandon Testa’s playful and festive wedding. 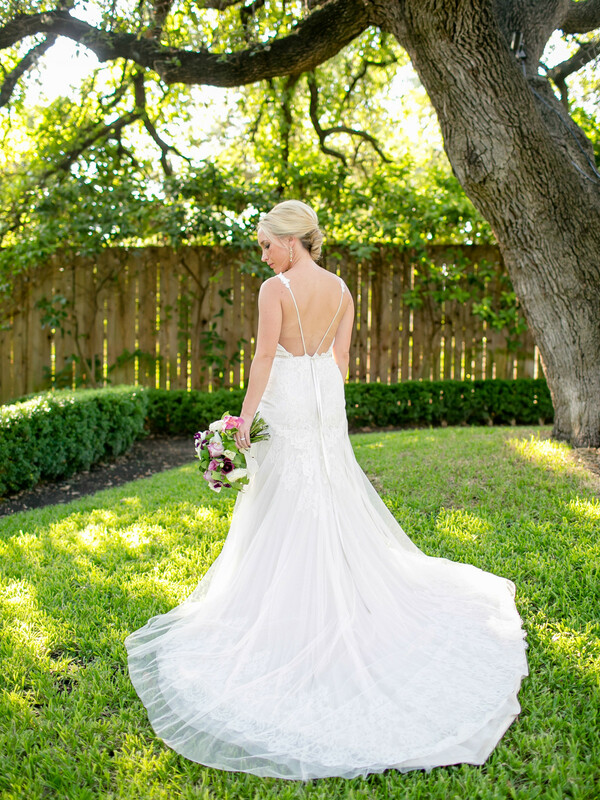 The bride’s beautiful backless gown was designed by Alvina Valenta. 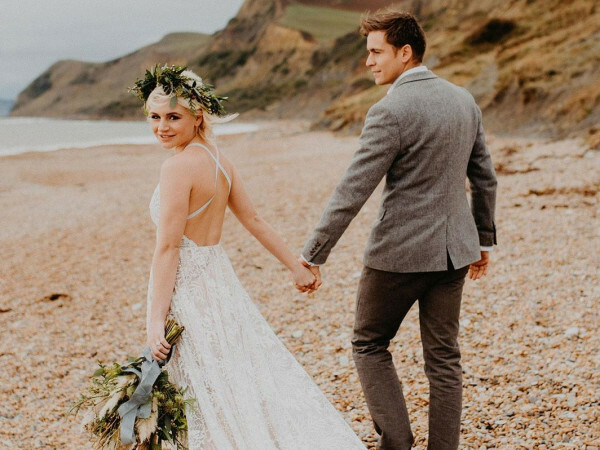 Her shoes and accessories came by way of BHLDN. 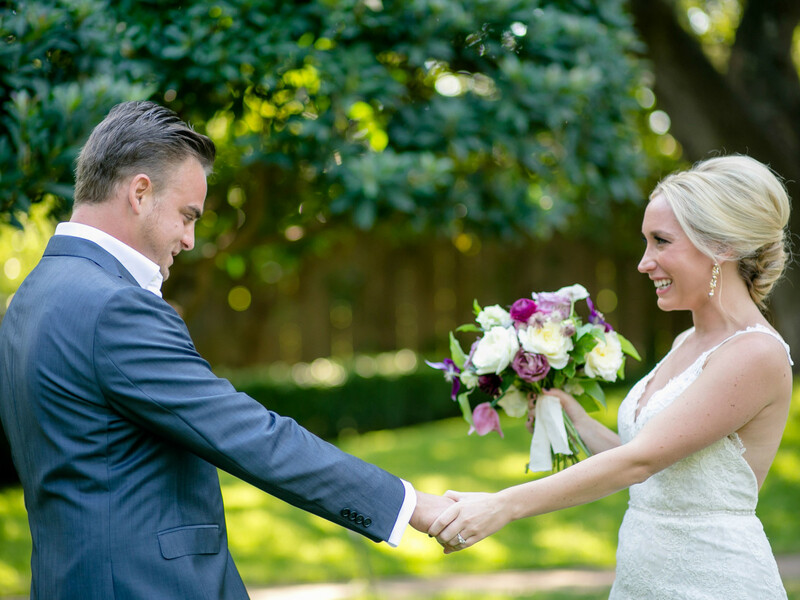 Alex and Brandon exchange a first look, captured by wedding photographers and husband-and-wife duo The Nichols. In addition, the couple opted to have their wedding shot by Nostalgia Film on Super 8mm film. Brandon and the boys looking sharp. The groom decided against a tie and added a colorful pocket square with his suit from Z Zegna. 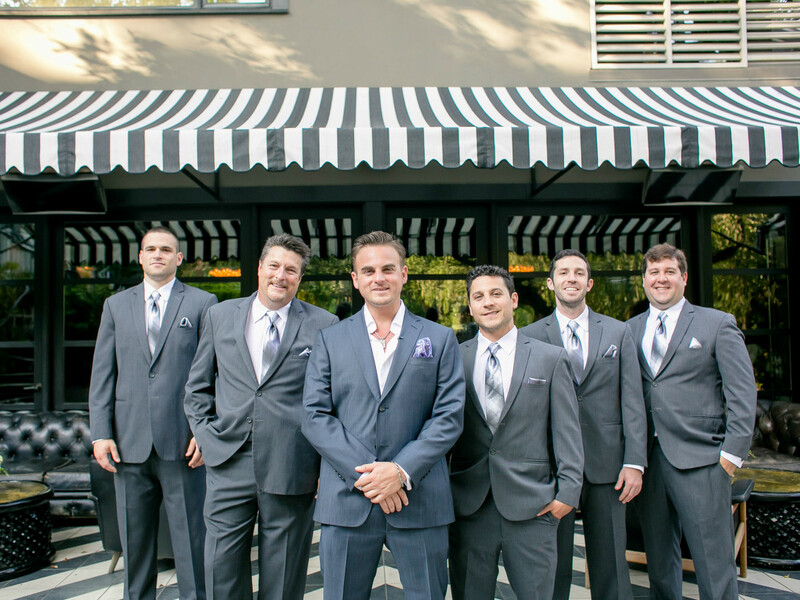 The groomsmen got their matching suits from Al’s Formal Wear. 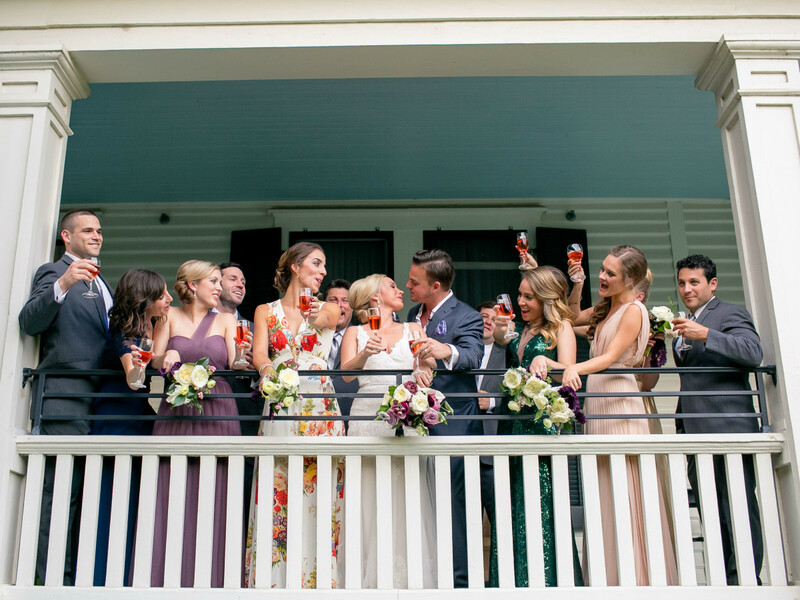 Taking an untraditional turn, the mismatched bridal party looked gorgeous in floor length dresses that had a variety of materials and patterns. Pearl Salon completed all of the looks with hair and makeup services. 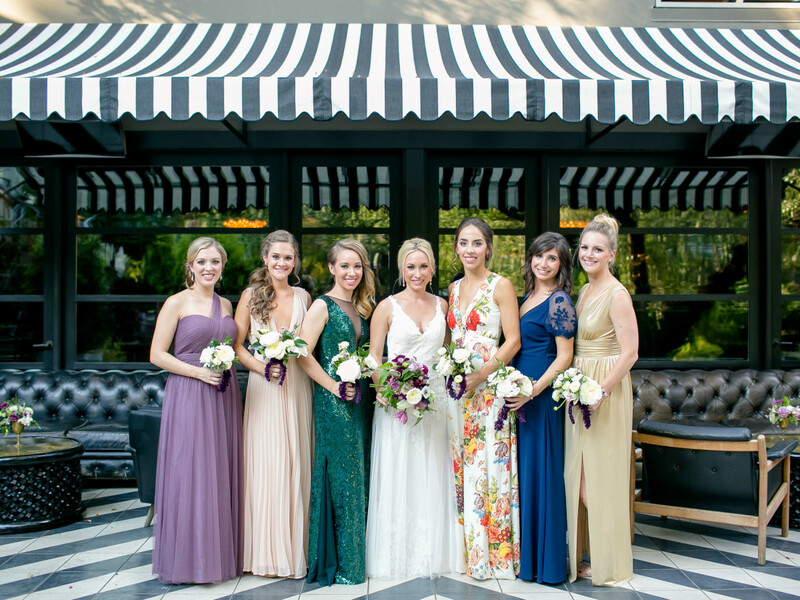 Wedding coordination was provided by Hotel Saint Cecilia and Gal Friday Austin. 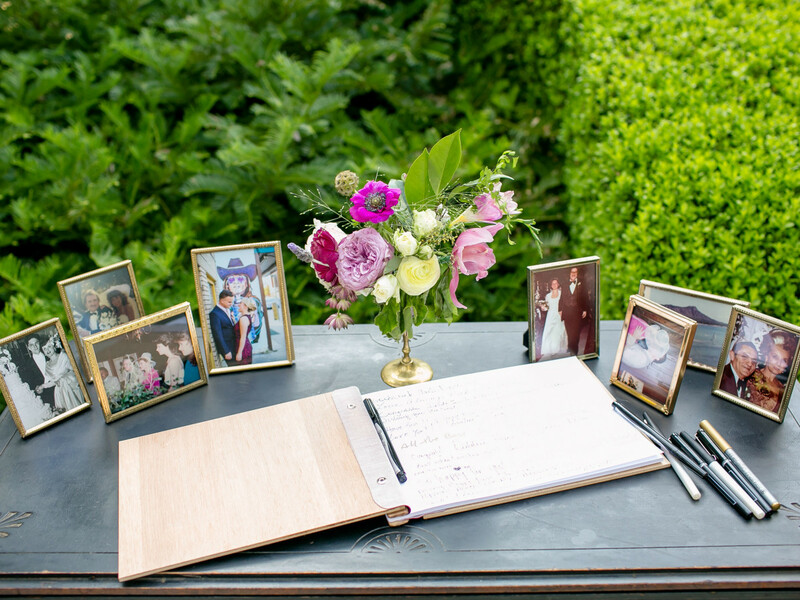 The guest sign-in table featured family photos and flowers by Margot Blair Floral, who created all of the arrangements for the big day. 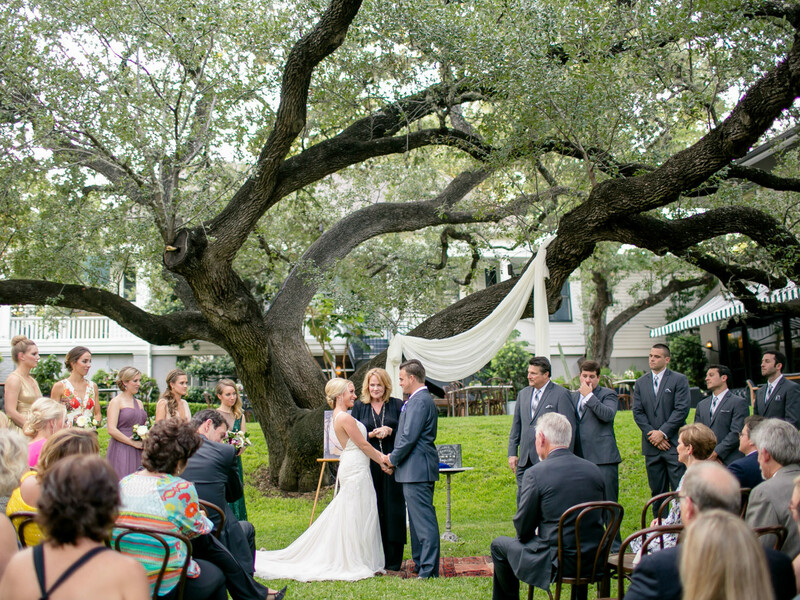 The ceremony took place under the giant oaks at Hotel Saint Cecilia as the wedding party walked down the aisle to the sounds of Terra Vista Strings. The wedding party salutes the happy couple. 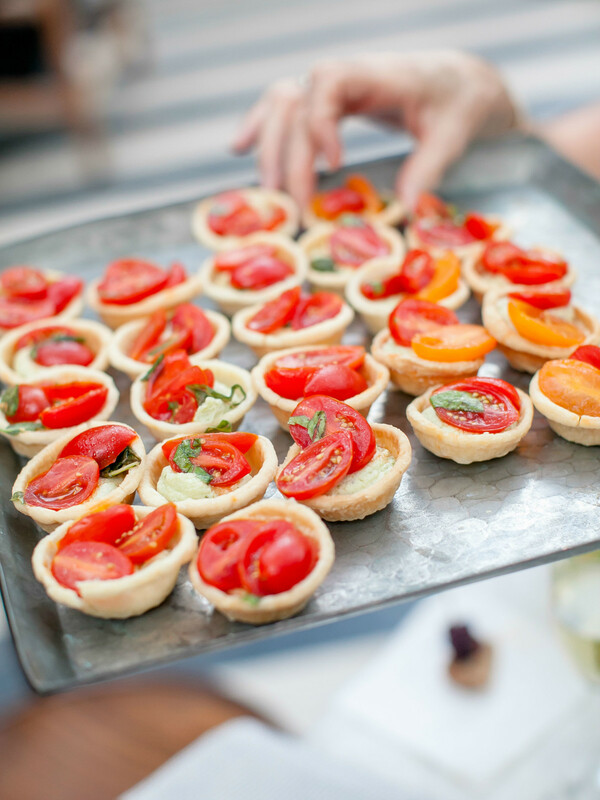 Eye-popping appetizers were passed around as guests mingled post-ceremony. Food trucks Pueblo Viejo and Garbo’s catered along with Hotel Saint Cecilia. 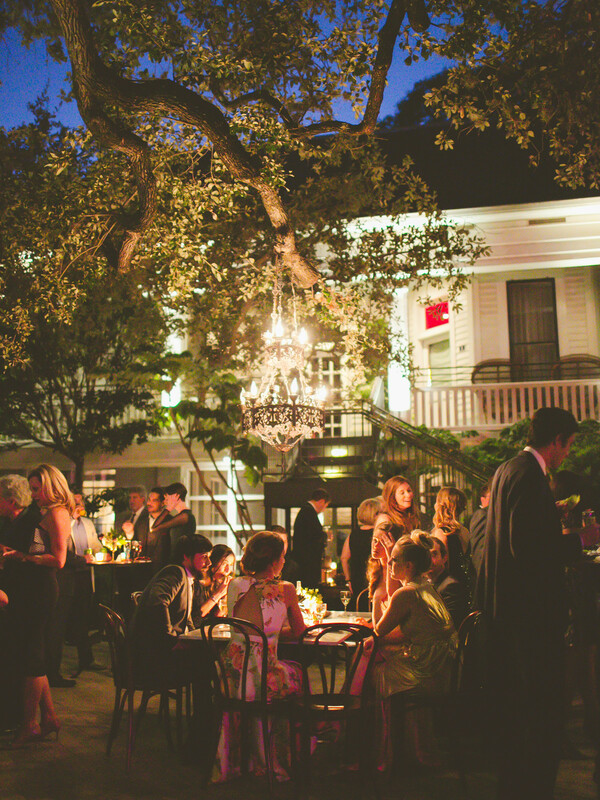 As the sun set, friends and family dined under the stars. 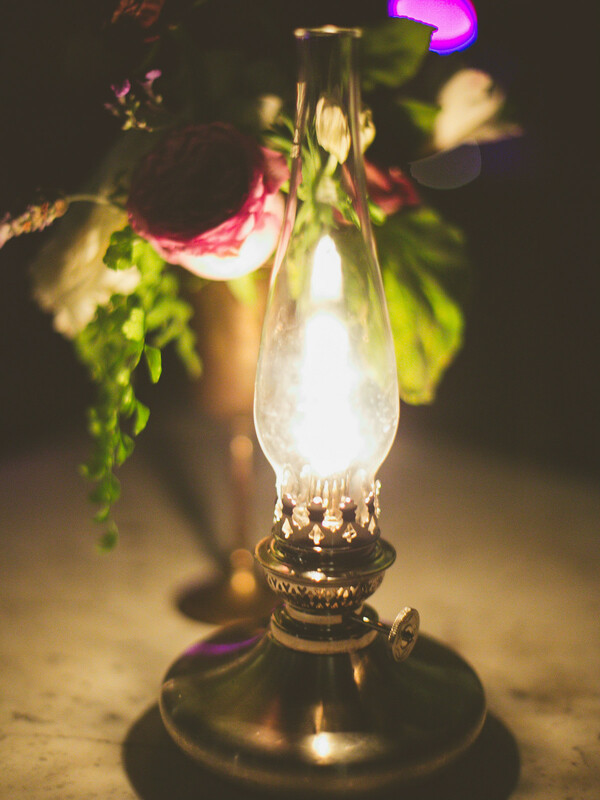 Lanterns in the evening provided a vintage feel to the celebration. The cake was baked and decorated by Polka Dots and was served alongside cupcakes and macaroons. 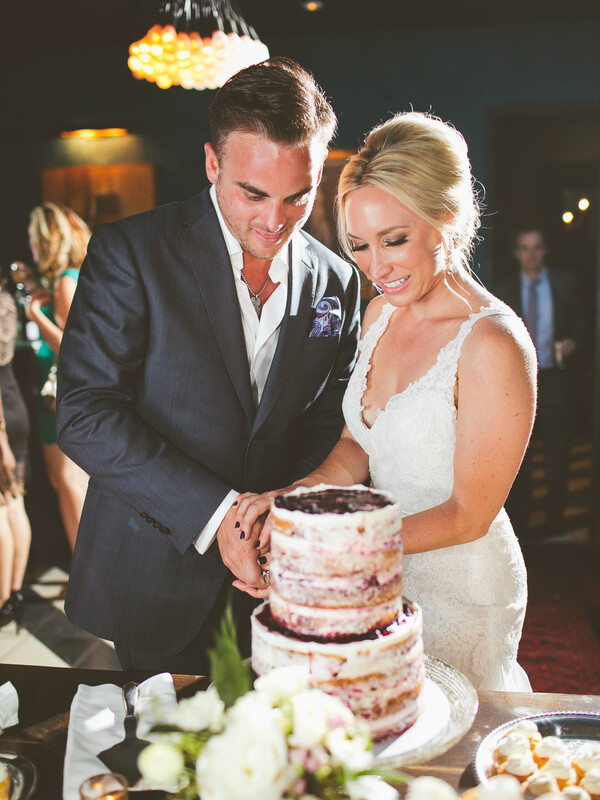 The newlyweds slice into the decadent dessert. 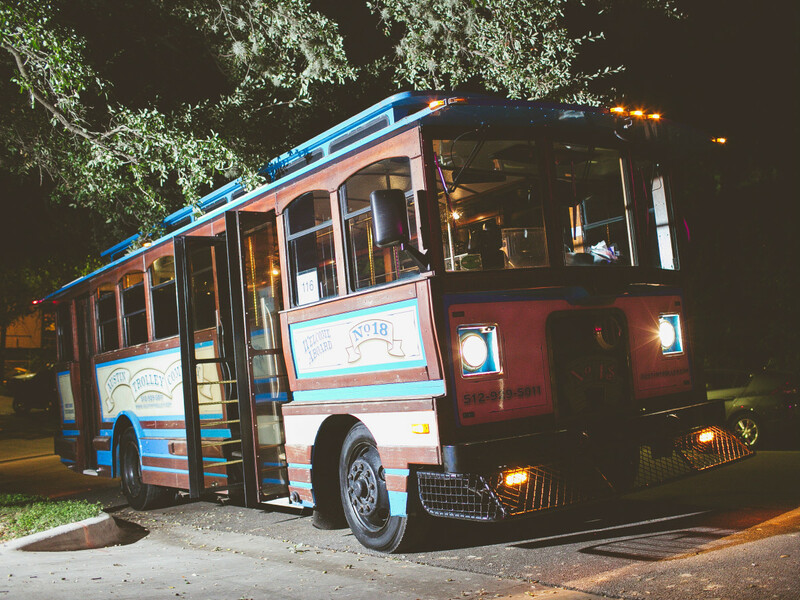 Throwback trolleys transported guests to the reception at Craftsman, where DJ Kid Slyce set the soundtrack to dancing. Also in attendance was Michelle Amaranth, who read tarot cards for yet another fun element to the wedding.